Badgley Mischka Funnel-collar Bell-sleeve Sheath Crepe Cocktail Dress - Badgley Mischka crepe cocktail dress. Funnel neckline. Long, bell sleeves. Sheath silhouette. Hidden back zip. Knee-length hem. Polyester/polyurethane. Dry clean. 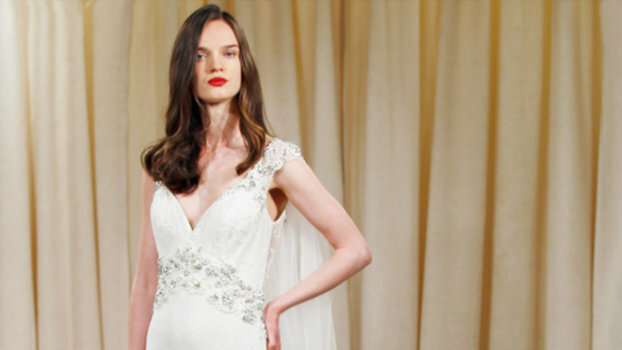 InStyle brings you all of the most fashionable Badgley Mischka bridal looks that we loved from Bridal Fashion Week.